Wow! What a month we've had! 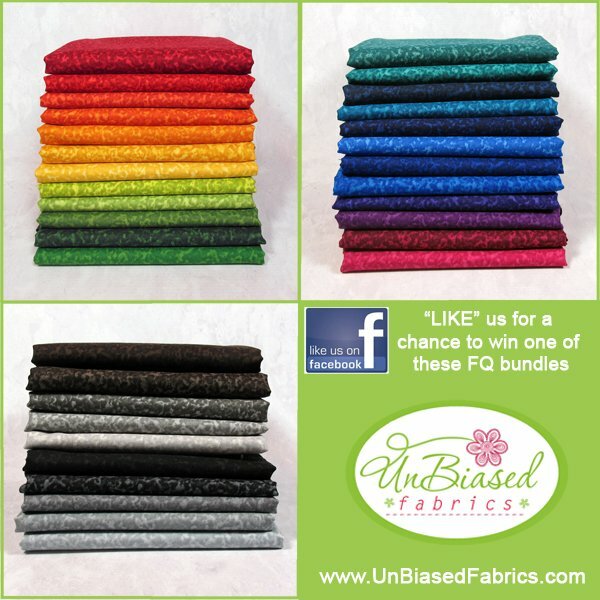 To celebrate all our new friends on Facebook, we will be giving away three bundles from the new Color Theory collection by In the Beginning fabrics. Winners will be selected from ALL our Facebook Fans. Three fans names will be selected Wednesday morning, so if you haven't visited our FB page yet, visit and "LIKE" us for a chance to win.